Why not develop a family of UAV? “Situational Awareness” is the most important aspect in the ISR Cycle (Intelligence, Surveillance and Reconnaissance) for winning any war. A military that has good situational awareness will win the day, even if it has lesser No of tanks and aircraft. In modern times the best asset available for acquiring that “situational awareness” is the Unmanned Aerial Vehicle (UAV). India has an ambitious UAV procurement plans. Recently, the Indian Army came up with a Request for Information (RFI) for 75 mini Remotely Piloted Aircraft Systems (RPAS). This is the latest tender on the unmanned systems. In past, India has come up with various competitive tenders for UAVs of various size and capabilities. Since all of these tenders are through open competitive bidding, it is anyone guess which system will win. Although open competition is the most desired and effective way of selecting any system, it can throw equipment from different manufacturers which in long run will create a maintenance and logistic nightmare. Indian Air Force (IAF) which operates a variety of aircraft from Russia (largest contributor) to France, UK and US, is facing massive inventory and logistic issues. This situation is primarily because of legacy issues, Since UAV induction has just started, efforts should be made to ensure a similar situation does not arise in UAV. This is avoidable through proper planning. At present, Indian forces operate primarily three kinds of Israel made UAVs, namely, Searchers, Herons and Harops. 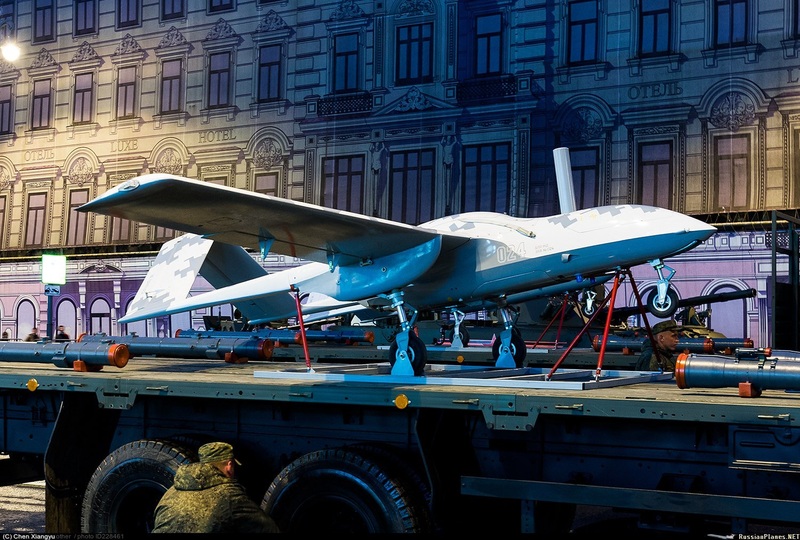 All three UAVs, developed for various operational requirements of Israeli armed forces, share the same standardised protocols. Therefore, India does not have any issues in handling them. In the last few years, India has inducted many mini and other UAVs, with different protocols, and more so are in the pipeline, it will increase the challenges for the military. This will be akin to a time when it had different types of B Vehicles in the inventory. Moreover, Mini UAVs are also in demand by the Para Military Forces, NSG and CAPFs. And therefore, logically, it is time to bring in the concept of a ‘family of UAVs’ which will have similar protocols, command and control. This will ensure Indian forces do not have to face many woes in operations. Given the importance of UAVs, it is important to have a ‘Strategic Partnership’ approach to UAV manufacturing. Its procurement, production and technology must be confined in one or more companies which should be a strategic partner to the Ministry of Defence (MoD). This should not be left for later days, as India is just entering into the arena and the technology is still far from mature. Streamlining of the process is a must. The selection of a strategic partner for UAVs will also help the country get a ‘family of UAVs’. The UAV pre-manufacturing Cycle has already commenced, and any delay in the SP model for UAVs will only be detrimental to ‘Make in India’. Given the requirement of forces, Indian industry has geared up for manufacturing the UAV here and very soon the country will witness serious UAV manufacturing. It will not be prudent to expect individual companies to have their own test facilities including flying test ranges which will affect manufacturing, since the parameters, which need to be tested on a daily basis, cannot be worked on. While the Govt has put its effort behind this factor, there are no results in sight. In addition, these test facilities need to be accessible to the UAV manufacturers, i.e., within striking distance of their manufacturing facilities. Building “test ranges and facilities”, if not done on an immediate basis, it will adversely affect the “Make in India” program. If the government wishes to support Indian developed UAV then it must come up with a solution. Another challenge which the manufacturers of UAVs are facing is the present concept of No Cost No Commitment (NCNC) which is not ‘time efficient’. It is long drawn and should be done away. While the vagaries (also varied) of climate, weather and terrain in our country are well understood, however, if the NCNC is going to be long drawn, then the selected manufacturers should be suitably compensated, as a year plus or minus of trials cost money to the private industry. Additionally, if any equipment is inducted into the armed forces then other agencies such as central police organisations should not ask for similar trials. India has a golden opportunity to capture the global UAV market. It has immense export potential and the government must look at challenges of the UAV manufacturers.